Winds in the east, mist coming in. Like something is brewing, about to begin. Our favorite nanny is coming back to the big screen in an all-new, fun-filled outing. 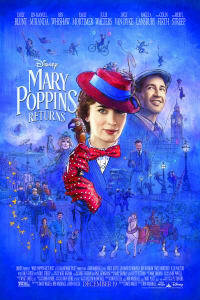 Mary Poppins Returns stars Emily Blunt as the inspirational caregiver, who returns to Cherry Tree Lane to visit the family she once cared for as children. But there’s something not quite right in the Banks household. 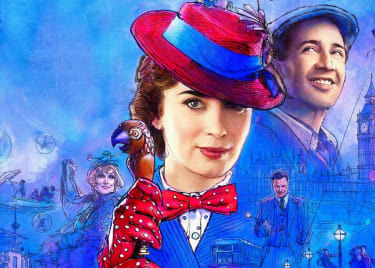 With a stellar cast and a story that captures the bittersweet joy of PL Travers’s original tales, Mary Poppins Returns promises to be supercalifragilisticexpialidocious. We can’t wait for the December 19 release date. Here’s everything you need to know about the long-awaited sequel. We begin in 1935, twenty-five years after the events of the original Mary Poppins. Jane and Michael Banks are all grown up, and Michael has children of his own. When we step back into the Banks house, Michael is still reeling from the death of his wife. Michael’s struggle to cope and move forward seems to be a big part of the reason Mary Poppins returns to Cherry Tree Lane. Naturally, the iconic governess plans to bring magic back into Michael’s life. (You probably recall how, in the original film, a lot of Mary’s lessons were intended not only for the Banks children, but for their father.) This time, Mary will have some help, as her eccentric cousin Topsy will also drop in for a visit. Mary Poppins Returns boasts one of the best casts in recent memory. 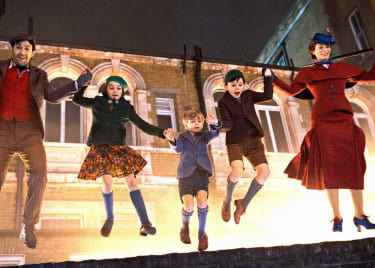 Emily Blunt floats in as Mary Poppins. Julie Andrews played the character in the Oscar-winning original film, and Blunt has all the credentials to soar as Poppins. When we last saw Mary, she had set off back to her home in the sky after changing the Banks family’s life. Mary Poppins palled around with Bert, the lamplighter, in the original film. Lin-Manuel Miranda plays Jack, who was once one of Bert’s apprentices. The celebrated theatre actor is precisely the right choice to play the singing, dancing Jack; we can’t wait to hear his Cockney accent. 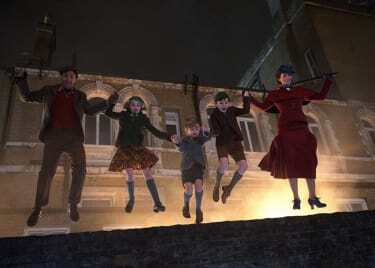 The grown Banks children are played by Ben Whishaw and Emily Mortimer. They’re no longer the lovable kids we knew in the original film, which isn’t a criticism; life has a way of rubbing the shine off a person. But that’s where Mary Poppins comes in. She can polish anyone right up. Joel Dawson plays Michael’s youngest son Georgie, likely named after Michael’s father. Pixie Davies plays Michael’s daughter Annabel, while Nathanael Saleh is on hand as John, Michael’s eldest son. Naturally, there’s a robust supporting cast, too! Julie Walters plays Michael’s housekeeper Ellen; the character was played by Hermione Baddeley in the first Mary Poppins film. Angela Lansbury is the mysterious Balloon Woman, while Colin Firth plays William Weatherall Wilkins, the new owner of the Fidelity Fiduciary Bank. Last but very far from least is Meryl Steep, playing Topsy Poppins, Mary’s slightly odd cousin, who makes a brief appearance. There’s not really a question of whether or not Mary Poppins can restore magic to Michael Banks’s life — it’s all about how she manages to do so. We don’t have Mary’s powers, so we can’t tell you the answer. (And even if we did, we wouldn’t tell you!) We’ll all witness the magic when the cloud-dwelling lady flies back into our lives this December. Mary Poppins Returns opens on December 19, 2018.